"I can feel it but I can't see it", "I wonder what its eyes look like", "What does it look like in here? ", "Why does it feel furry? ", "I can't wait to put this under the microscope". What I love most about using a digital microscope is that you can set it up on a nature table or exploration area and leave it for the children to use independently. As the image is on the screen it's really easy to show the children and it's easy to point out specific features. I really appreciate that we are able to connect the microscope a computer and see the image on the larger screen. Young children will find it easy to focus as there is no eye piece to look into. When the boys have made a fun discovery we can all look at the microscope at the same time! It helps children to make their own discoveries and inspires children who want to know more. The microscope shown is the Celestron InfiniView, however, any good quality, digital microscope should have the same features. You can save images onto a memory card or connect the computer and take photographs and print. It can be used cordless (fabulous for taking outside) or connected to the main power. Our first microscope was the DuoScope which you can see Caspar using here. Above Otis is looking at the cross-section of a stem which he has found absolutely fascinating! Do you have a reference library at home? Perhaps a few reference books for the children to use? The new year is a great time to restock, refresh or tidy up the children's books. I believe children still need the skills of research using physical books, using an index and such. While there is a place for internet searches, I don't want my children to run to google every time they have a question. Many reference books are also really beautiful and inspiring just to read, or flip through. I find it hard not to order too many reference books, I love a good children's encyclopedia! There is the challenge with young children to create an edited reference library. I think it's ok to rotate reference books to maintain interest and to freshen up the area every now and then. While we have some essential or staple books like an Altas there are other reference books we rotate including those on specific topics that the boys might be interested in. There is also a balance to achieve in having enough books to meet the child's need but not too many books they can't look after them. The reference library needs to be accessible but able to be maintained by the child if possible and kept orderly. Have large, clear, beautiful, high-quality images. Images that are captivating and inspiring. Are factual - without errors or political bias. Have interesting, insightful and useful facts. Dot point or summaries are good. Have longevity, will still be of interest in a couple of years time and/or are so lovely they can be passed down to family. Ideas of books to include in a child's reference library. Children's Encyclopedias - think Solar System, Human Body, Ocean, Earth Sciences, Rocks and Minerals our reference library includes Dog and Dinosaur Encyclopedias. History Books - my children love books on Evolution, Natural History and Ancient Civilizations. Books on Humanities, Arts and Culture - love Artists and Paintings Children Should Know. Books on Technology and Inventions. Field Guides including Local Guides - we recently found a bird guide that was specific to our local catchment area! Think native plants (leaves, trees), animals (insects, spiders, butterflies), fungi. Books as per the child's interests - this list is endless Vehicles, Occupations, Flags, Lifecycles, Weather, Seasons, Clouds, Sea Shells. Brands that I like include My First Discoveries, DK, National Geographic, anything published by our local Museum. We also have the Farm, Nature and Food Anatomy books and the Animalium, Botanicum and Historium Welcome to the Museum Series. Second-hand books can be fantastic. It's also really lovely to build the reference library over the years, starting with a small collection when the child is young. Reference books often make nice birthday or Christmas gifts and Grandparents might like to add to the library also. For both of my children, their interest and demand for a reference library commenced at around five years, although many of these reference books are relevant from toddlerhood. Local readers might like to know that we use the Pocket Guide: Backyard Insects of Brisbane (other pocket guides here), Wild Plants of Greater Brisbane, Wildlife of Greater Brisbane and the Field Guide of the Birds of Australia. It is also important that my children use the resources at our local public library. Caspar has recently learnt to use the online library catalogue and how to reserve books, this has been incredibly helpful and empowering! The bottom right section of our shelves is kept for library books, we find it easier to keep them together, when the children are finished and are ready to return them they put them in the library bag (hanging on the side). We haven't sorted our little library by theme or topic but may do so soon (we have the labels on our shelves ready). I find it helpful to keep a good supply of bookmarks nearby too. The boys' room and the gorgeous afternoon light. We found the cutest Japanese florist in West End who wraps his plants like this. Couldn't resist. Studying the legs of a beetle. Loving this microscope choice, it's super easy to focus and everyone can see the same image. Nature box - so many found treasures. The Ikea Children's Knife. It's small with a grippy handle, designed for the child's hand. It feels a little chunky so it's easy for the child to hold and to control. It is recommended for children 8 years + however I would happily give it to my child at three or four. It's sharp so it's not a 'first' knife, always start with a knife that isn't so sharp for the child to learn some knife safety and cutting skills. It will easily cut through hard foods like apple, carrot, and sweet potato. Also in the knife set is the Children's Peeler. Again it's the perfect size for the child's hand, also with the chunkier feel and grippy handle. Peels easily but is sharp. 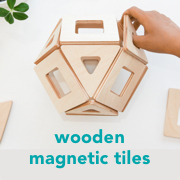 A reminder that well-designed children's kitchen tools can be affordable and accessible. Our long school holidays have started and we are all feeling relaxed and calm. Not only has school finished but we also have a long break from extracurricular activities and speech pathology!! I've started paying a little more attention to our home spaces. Along with rotating materials to create our Writing Station, we have also rotated the materials on the boys' shelves. Caspar (9yrs) is having trouble with fractions so I have reintroduced some fractions materials (he has also been using the fractions circle). We have lots of materials for the light table (our Magnetic Tiles are c/o Child.com.au), We have our model planets out, the boys are trying to memorise them in order, some blocks and the Make 'N' Break game. But the highlight of this area is Otis' little Greenhouse (c/o Child.com.au). This product is currently sold out but I also love the Hydroponics Lab. It's lovely to have a little greenhouse for Otis to look after. He tends to it once or twice a day. This one has LED lights so it doesn't need such a sunny spot. It also has a drip tray which helps with regulating water. We often overwater then don't water ours enough - but that is part of the learning process! Otis has also been loving this tray with a set of scales and a few loose materials. This is an example of where simple is best. I've thought about putting this on a large sensory tray but while he is enjoying it, I'll leave it as it is. For anyone looking for children's furniture, Otis is still loving his Ikea Flisat table and it's been perfect, it still looks like new. Today I'm sharing a delicious Hazelnut Brownie recipe. It's perfect for this time of year, it can be wrapped and given as gifts and the kids love making it! We are also using some fair trade products from Oxfam! First I want to share a little about Oxfam. Oxfam represents 143 fair trade partners in 47 countries around the world, Oxfam’s shops provide fair and ethical products online and across 13 stores in Australia. If one in four Australians purchased $10 worth of goods with Oxfam, consumers would contribute more than $57 million towards the fight against poverty! By choosing to buy ethically, we can make a difference! Oxfam Australia’s General Manager of Trading Julia Sumner said: “By choosing to shop with Oxfam, you’re not only getting a uniquely beautiful handmade product with a unique story behind it, you are also joining Oxfam’s global movement towards calling for an end to exploitation and unfair work conditions. Oxfam Shop is Australia's only retail organisation registered as a Fair Trade. I love walking into Oxfam stores, all year round we love their world music CDs, baskets and children's toys. Back to the brownies - both Caspar and Otis wanted to help, I can't blame them. There was a lot of spoon licking! Did I mention how delicious this is! Now for the recipe. Preheat the oven to 180°C. Line the base and sides of a 20cm square cake tin with baking paper. Combine the jar of hazelnut spread and melted butter in a large bowl using a whisk. Add the eggs one at a time, beating between each addition, until a smooth paste forms. Stir in the vanilla essence and brown sugar. Sift over the flour and baking powder and fold to combine. Pour the mixture into the lined cake tin, spreading out the mixture evenly using a spatula. Bake for 30-35 minutes, or until the brownies spring back when lightly touched but a skewer inserted into the centre comes out slightly fudgy. Cool the brownies completely in the tin before lifting out onto a serving plate. Cut into rectangles to serve. Recipe by Elizabeth Alvaro via Oxfam. After baking, I barely had a moment to slice the brownies before the boys wanted to eat them. I sliced them and put them out for a gorgeous Christmasy afternoon tea with friends. Oxfam fair Hazelnut Spread, Dark Chocolate and Raspberry Stars and Milk Chocolate Christmas Santas are c/o Oxfam. The beautiful Tree and Animals Table Runner, Gold Star Candles in Ceramic Pots and Red Glass Bead Star Decorations are also available from Oxfam. Oxfam has an amazing range of Christmas decorations and you can see their entire Ethical Christmas range here. A huge thank you to Oxfam for their wonderful work and for making ethical Christmas choices easier for all of us! Around here - Today in our Montessori home. Here are a few activities from around our home today. This is one of our Christmas traditions - making Beeswax Candles. These are so easy for children to make. We've used the coloured wax from Luxmi (similar wax is available here in the US). Loving this puzzle! These are Australian native birds and the puzzle is much harder than it looks. (Birds from other regions are also available). Chop, chopping. (This is a cute Mouse Cheese Board from Oxfam). Growing seeds. Otis is giving them a spray! A lovely turtle themed sand tray. We always have a sand tray out! Sand, play silks, glass stones and shells, what more could you want! Today I'm sharing a few pictures of Otis helping with the washing. Both of my children know how to use the washing machine and Otis loves to help in the laundry. My message to other parents is to get out the way, allow your children to help where they can and encourage their participation! By helping around the home children learn life skills, they develop and strengthen their coordination and fine motor skills, they learn that they are valued, that they can make a real contribution! If Otis wants to help with the washing I take the time to put a few small items in his laundry trolley. He knows he can hang these out. He can then wait until they are dry and put them away. I don't overload him, but I make him responsible for a few small pieces of clothing, usually socks and underwear or a few shirts. Sometimes it's the napkins or washcloths. Our child sized Clothes Line and Laundry Trolley are c/o Child.com.au. The Clothes Line and Laundry Trolley are also available separately. These sets sell out quickly, so if you are wanting them for Christmas I recommend ordering as soon as possible. The Clothes Line comes with pegs (not pictured) and takes around ten minutes to set up. The Laundry Trolley has a removable basket which can be used separately. The Clothes Line and Laundry Trolley would stand up to use in a Montessori toddler environment or children's house. I hope you enjoyed this little peek into what Otis gets up to! Remember while the child is engaged and interested, it's never too late (or too early) to introduce real, practical life activities into the home! There have been many articles written on the topic so I thought it would be nice to address it here too. Most Montessori parents would agree that pretend play is important. It may be a critical part of the child's development. Role play, acting out scenarios, it's a way for children to process their experiences, process their thoughts and develop a whole range of social skills, coping strategies, creativity and important critical thinking and problem-solving skills. Through pretend play Otis develops characters, storylines, and plots both simple and complex. Pretend play often involves dress up, dolls, and toys. While these are not necessarily provided in the Montessori classroom it doesn't mean this play isn't valued. As a parent, I support not having these materials in the classrooms and feel there are plenty of opportunities for this type of play at home. I feel the home is best placed for this type of play. 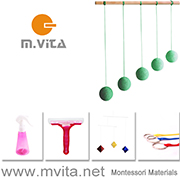 Although some Montessori classrooms have space for pretend play, in the playground, in the sand box, in water trays. Otis is no longer interested in playing with blocks and vehicles, which entertained him for many years. Otis often gets involved in pretend play with nothing but a (wooden) sword in his hands although I can also see how much he enjoys more developed play scenes and playing with more involved materials. The pictured Playmobil Adventure Treehouse has been set up in the boys' room for almost six months. It has a lot of parts and details which makes it really stimulating for Otis. It has bunk beds that swing down, doors and windows that open, a manual lift, and a hidden gold treasure. It has two people which are really important for his play right now, he needs play where people can talk and interact and there is also a whole range of animals. The idea of an Adventure Treehouse is exciting for Otis and it provides lots of opportunity for creative, pretend play and story telling. Our Adventure Treehouse is c/o Child.com.au. Child.com.au currently have 20% off Playmobil until the 14th of November 2016, see the website for further details. Playmobil is perfect for birthday or Christmas gifts. It's also good for language materials! Because there are many sets it's easy to find one that will interest the child. While we love the Adventure Treehouse, this year we have given friends the Space Shuttle and the Fire Engine. Due to the many parts and for the child's enjoyment, I would recommend for ages 4-5years+. The same Playmobil Adventure Treehouse is also available in the US here. P.S I read a review saying the treehouse was hard to set up. We found the set up simple, Caspar (at the time 8yrs) put it together independently within 20-30 minutes.